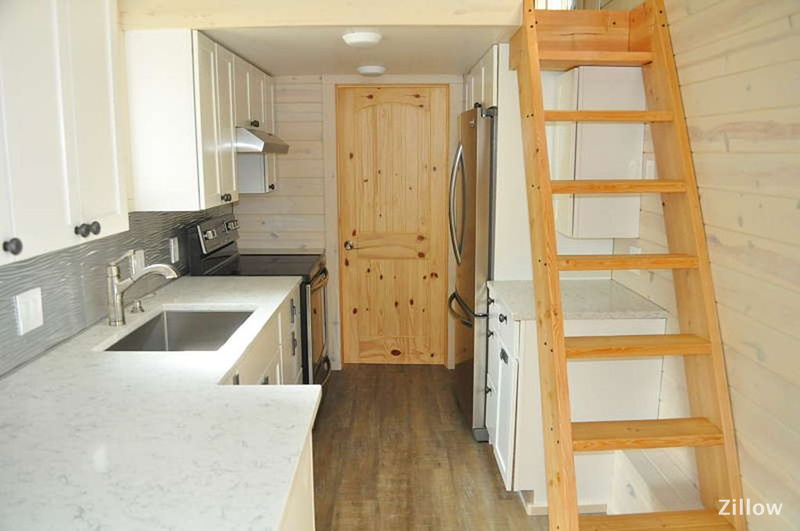 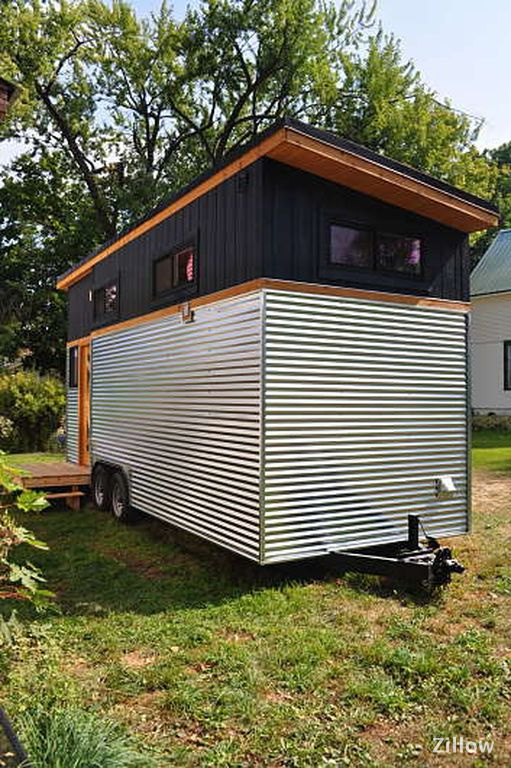 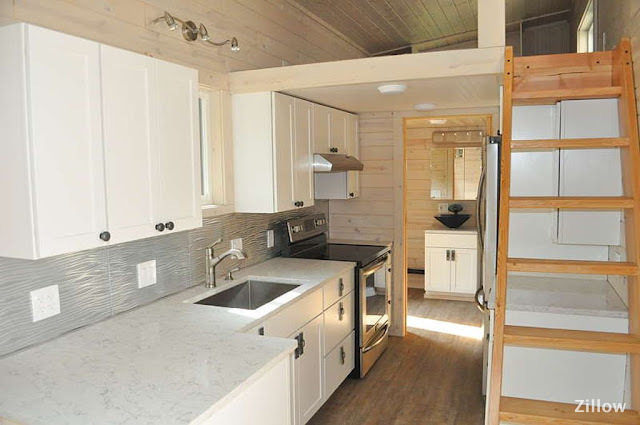 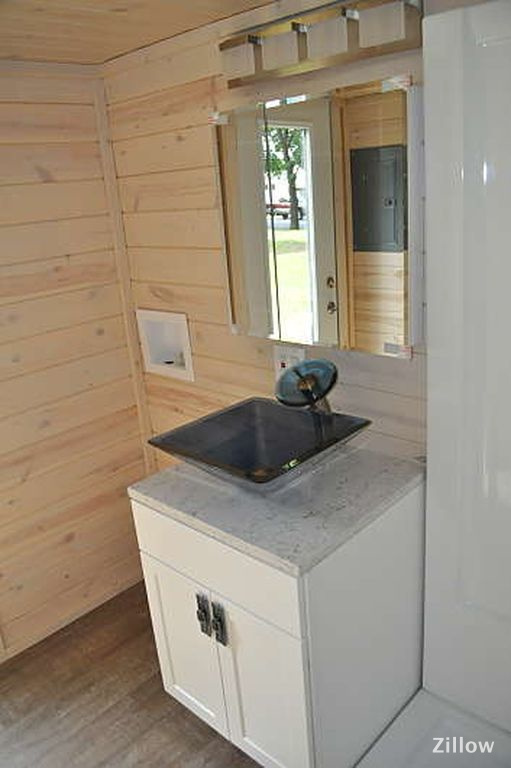 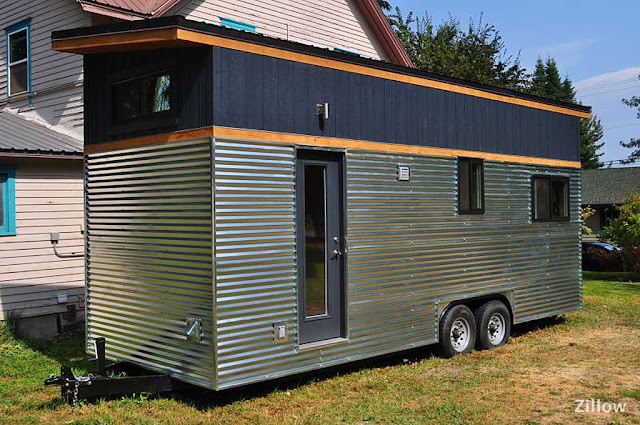 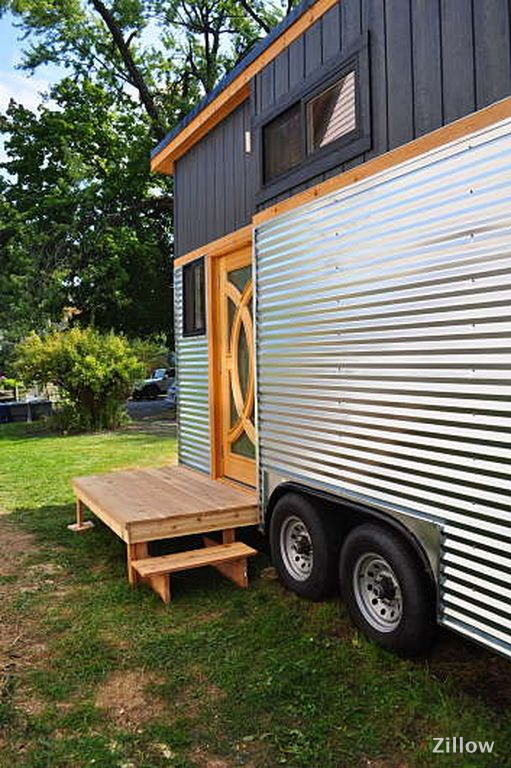 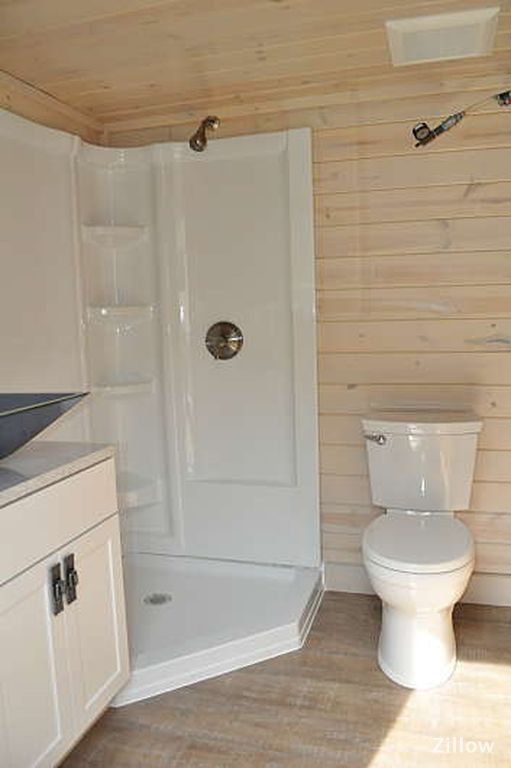 This unique, modern tiny house is currently available for sale in Sandpoint, Idaho! 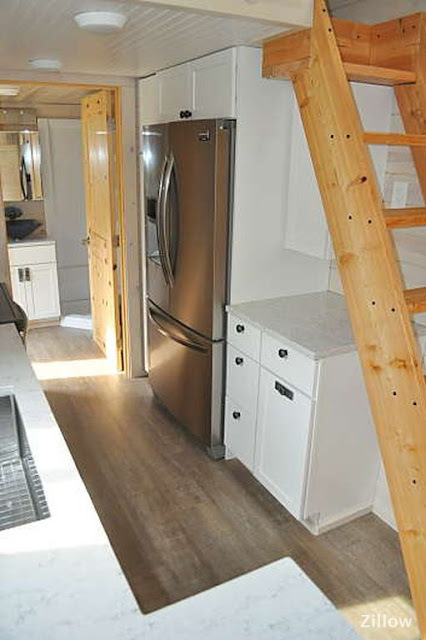 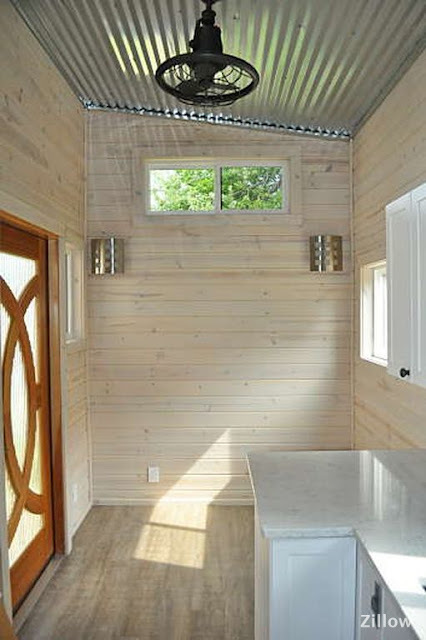 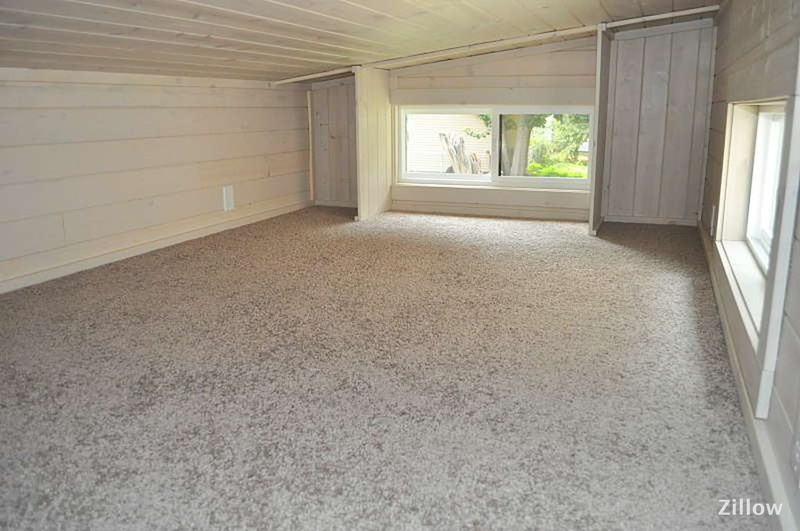 The home measures 261 sq ft in total with 171 sq ft of space on the main floor and an additional 90 in the loft. 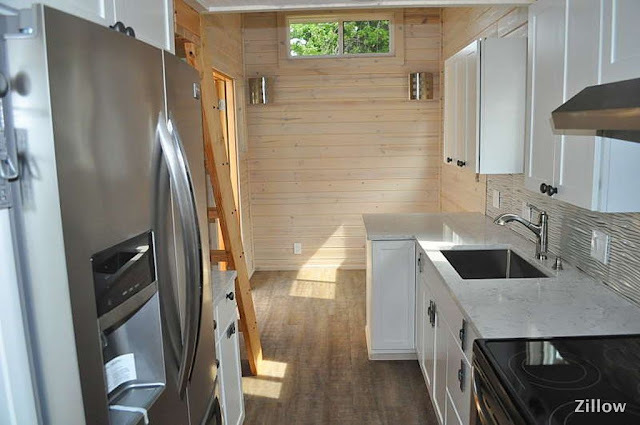 There's spray foam insulation to keep the interior temperature regulated, laminate wood flooring and whitewashed T&G pine walls in the interior. 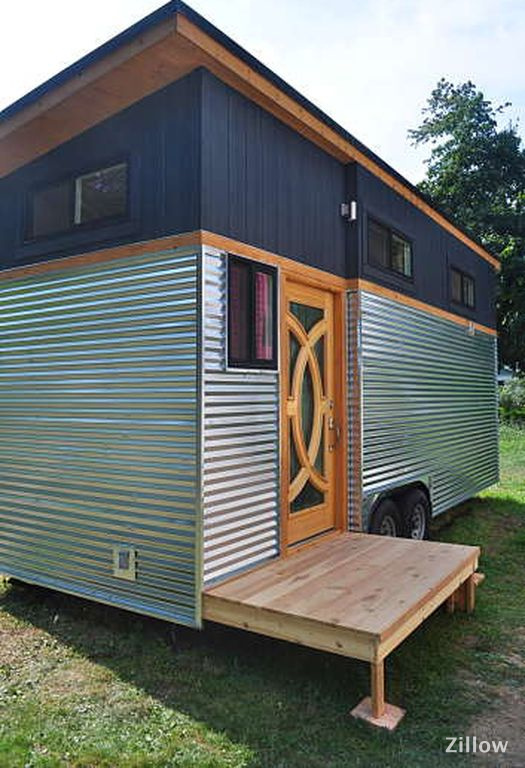 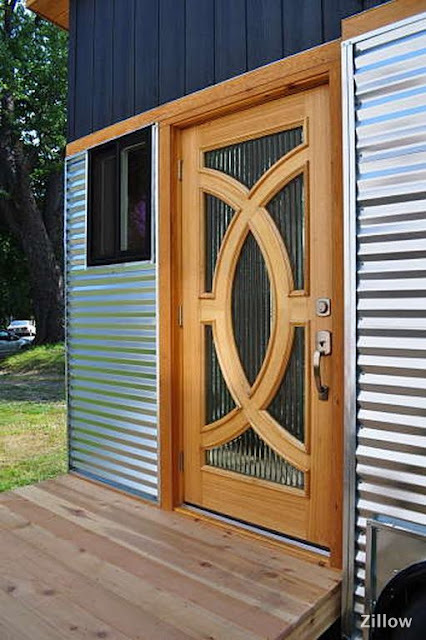 There's even a detachable front porch to add some extra space outside! The kitchen is perfect for anyone who loves to cook. 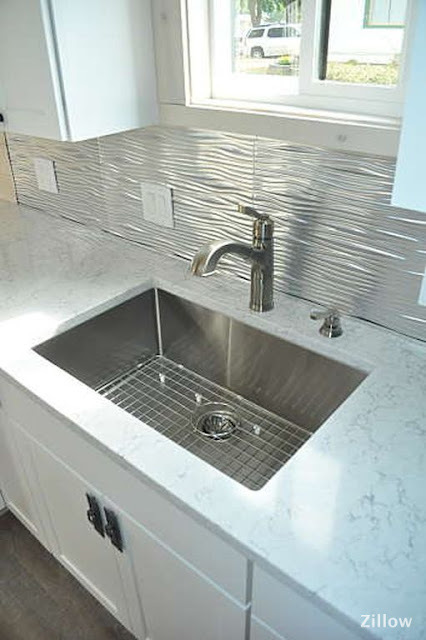 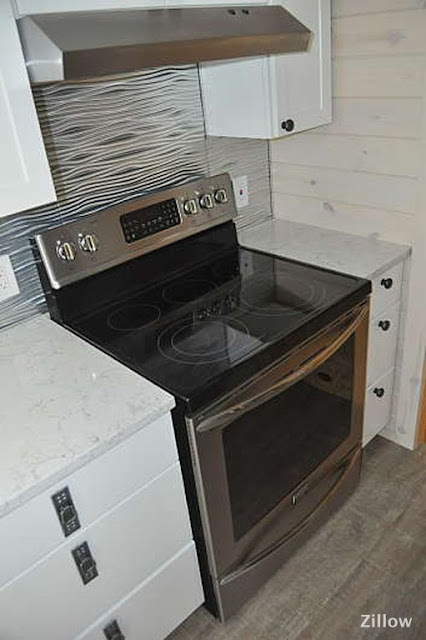 There's top-notch cabinetry installed along with quartz countertops. 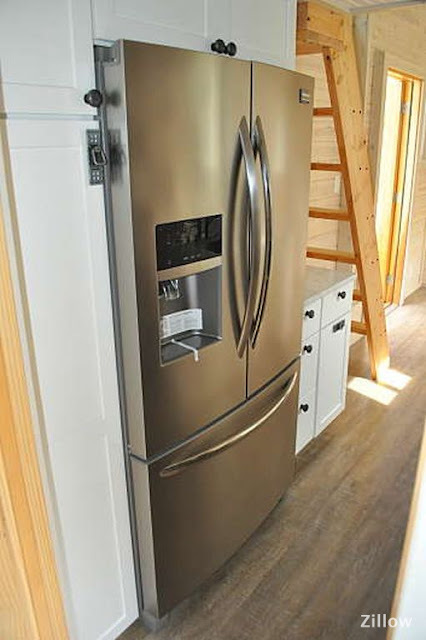 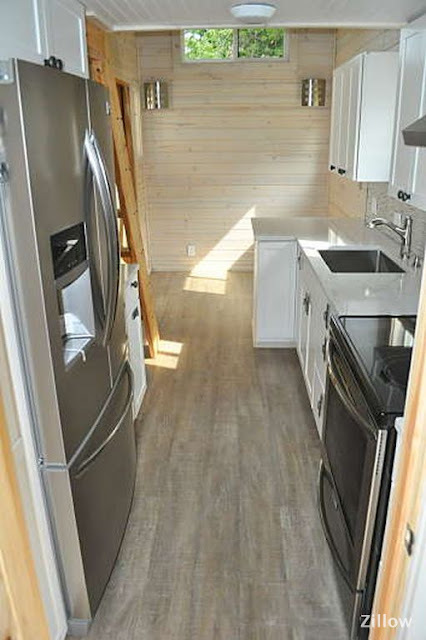 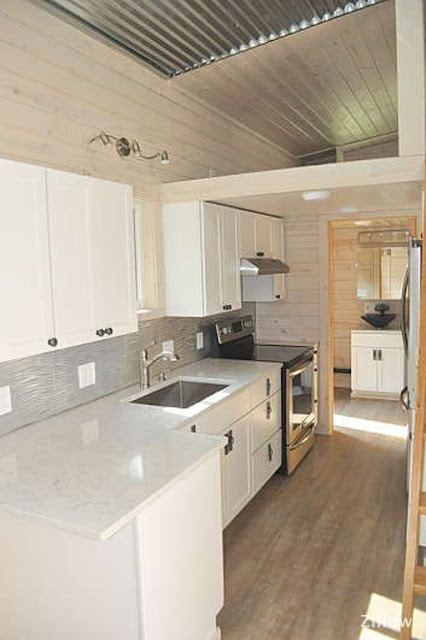 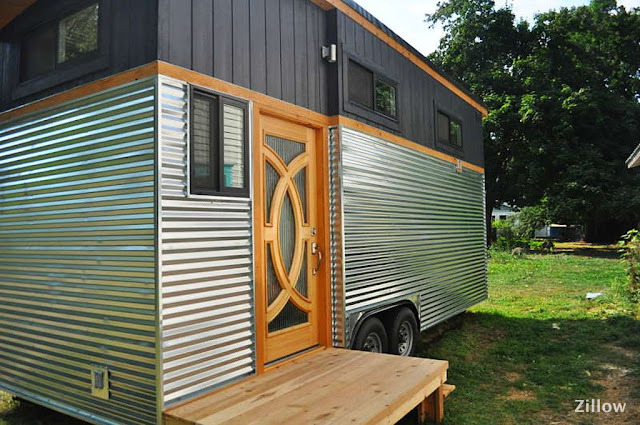 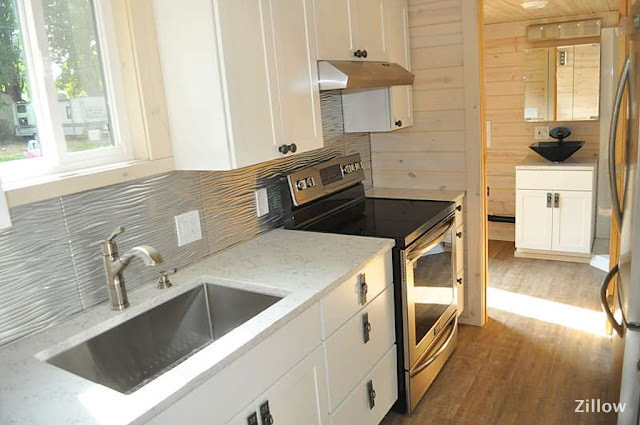 Also included is a full-sized stainless steel stove/oven, a fridge/freezer, and a stainless steel farmhouse sink. 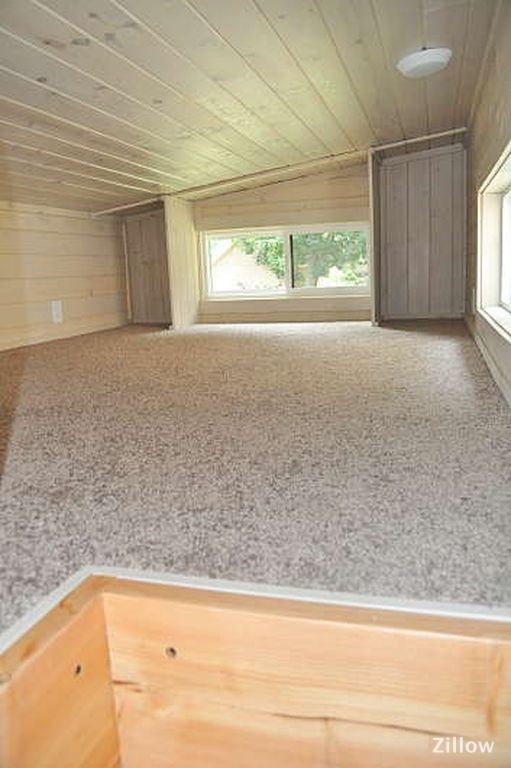 The home is currently listed here on Zillow for $63,900.